Mulching your garden bed is an art form? When I have over one-hundred different materials that can be used to mulch my garden bed, I select the one that is most suitable for the site and plants, compliments the design and is priced within my budget. I don't consider my garden work complete if I don't give my beds a finished look with mulch. With so many options its worth taking a look at the benefits, disadvantages and aesthetic value of different mulch materials. Watch Shirley's video on selecting the perfect mulch for your garden. Mulch is any organic or inorganic material that is used to "top dress" or cover the soil in the garden. You can buy mulch at your local nursery or landscape center or you can find "free" organic mulch like pine needles and leaves around your yard that can be shredded and used as mulch. Did you know that seaweed can be used as mulch? 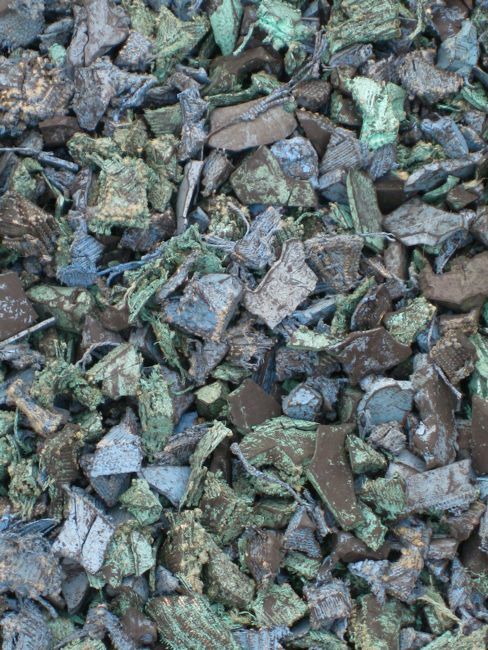 Inorganic mulches include non-living materials such as stone, shredded rubber, black plastic and tumbled glass. Recycled peach pits from Pit's In Pieces makes a gorgeous and aromatic mulch with a uniform look. Pit's In Pieces peach mulch repels snails, is long lasting and does not use nitrogen to break down. My all time favorite mulch! I use it in my garden. Birth control for the garden! When your garden soil is covered by a two or three inch layer of mulch, the sun can not penetrate the soil and stimulate weed growth. In this case, mulch acts as a physical barrier for germination and photosynthesis of those unwanted and "unplanted" plants. A thicker layer of mulch-up to 4"- inches can be used in cold winter gardens to insulate plants from freezing temperatures. 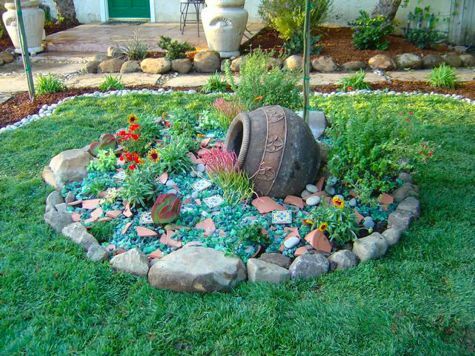 Recycled rubber tires are colored, shredded and used as a garden mulch and walkway material. This is a practical mulch for commercial or institutional gardens as they are long lasting and come in a variety of color. Great for wind-prone areas because of extra weight and I like it in the garden more than in the land fill. Not as well as most birth control methods, but effective enough to keep my weeding to a minimum! If these odds are not to your liking, abstain from gardening 'cause there is no guarantee. That is a serious will to survive. Another reason to use mulch is to help maintain moisture in your soil by insulating it from the drying heat and to moderate temperatures around the root zone. 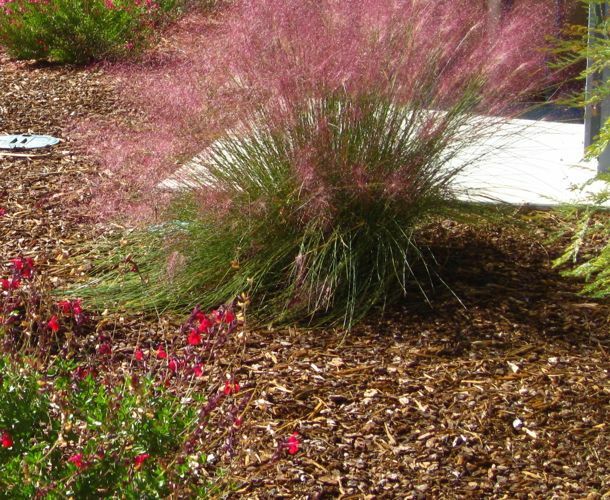 Shredded redwood mulch looks best in an informal garden like this one with ornamental grasses and sage where there are large open areas between plant. Yes, when mulch is applied too densely or incorrectly, it changes from being your garden's friend to it's foe. Thick layers of mulch do not allow water to percolate into the soil, so your plants die from thirst. Mulch that is mounded up against a plant is an invitation for root rot in plants, fungus and harmful bacteria. Too much trapped moisture can lead to plant death from drowning. Some mulch materials such as wood chips, shredded newspaper, and shredded bark are great for deterring weeds, but they use up valuable nitrogen from the soil to break down and contribute no valuable nutrients to the soil. Compost, on the other hand, can be used as a mulch material and enriches the soil with beneficial organisms and nutrients. The only drawback is that weeds can find this environment "beneficial" too. Redwood soil conditioner enriches the soil and improves texture but does not offer the best protection against weeds unless you apply a THICK layer! That said, redwood soil conditioner is neat looking when "clean" lines matter in your garden design. Cocoa mulch can be deadly to your pets! The ingestion of as little as 2 ounces of cocoa mulch has been implicated in severe stomach upset, and more serious illness and death at higher doses! Dogs and cats may find the chocolate aroma irresistible and can be poisoned by the caffeine and theobromine in it. Cocoa mulch should only be used in pet-free yards. I found out the hard way when my dog started snacking on my cocoa mulch and threw up. It was a lot of work to remove it from the garden and it the cocoa mulch cost more than a lot of other mulches. The upside for "pet-free" gardens is that cocoa mulch provides great weed suppression and does not rob nitrogen from the soil to breakdown. 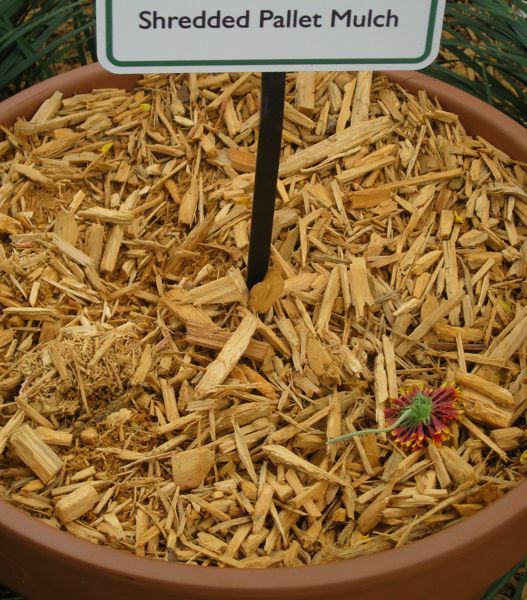 The downside is that your garden will be "pet-free" if your dog or cat eats the cocoa mulch! If you have a large garden, you may want to consider purchasing a "scoop" or "skip" of shredded redwood or cedar mulch from a landscape center and have it delivered to your house. A bulk order will be less expensive in the long run than buying a lot of 1 or 2 cubic foot bags from the nursery. 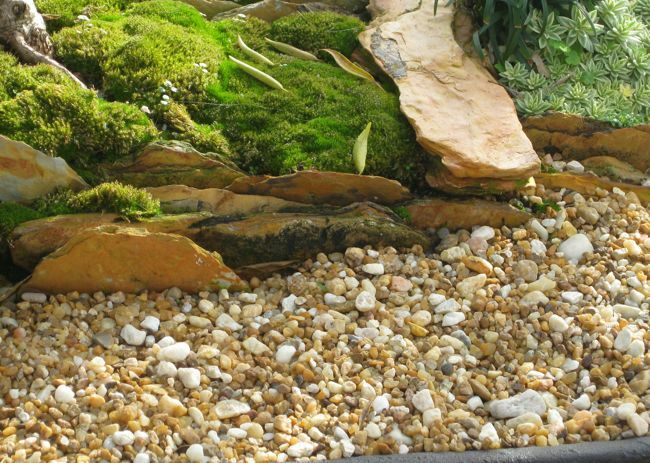 Stones and gravel are useful mulches for succulent and other dry gardens. 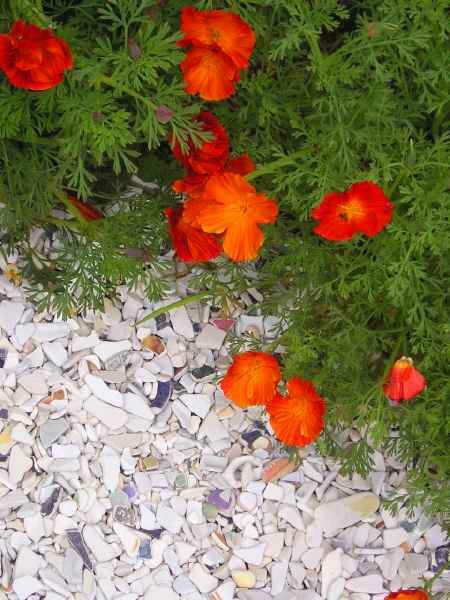 Stone and gravel are long lasting, do not break down but should be installed with a weed barrier cloth underneath to keep the gravel from sinking into the ground. Designer Shirley Watts uses broken mosaic as mulch. 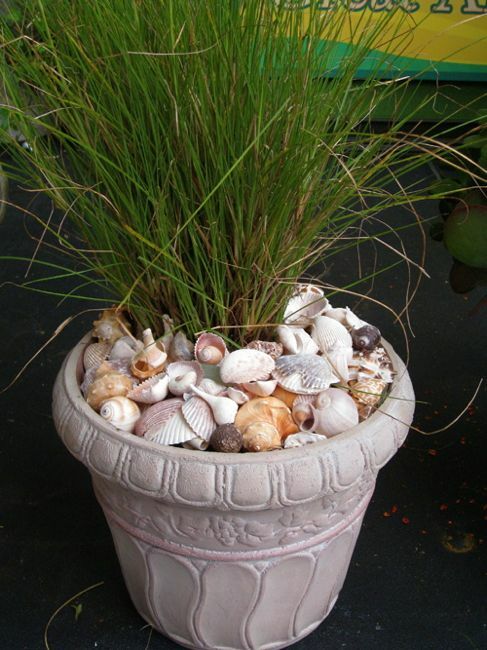 I use seashells as mulch in container gardens. If you have enough to cover a garden bed, it looks beautiful in a seaside garden. Shredded wood from construction wood pallets are a great repurposed mulch. I would use shredded wood from construction pallets in an informal garden. 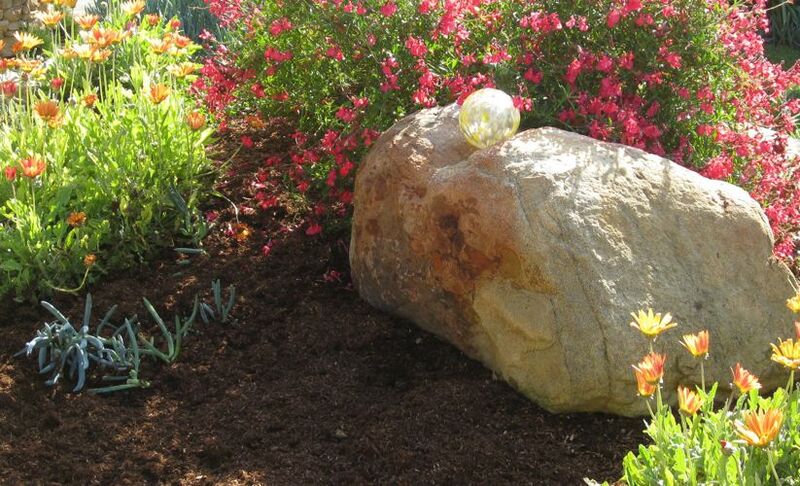 There is a perfect mulch for every garden need, budget and style. Don't forget to pamper your soil with plenty of organic compost before covering it up with mulch. Refresh your mulch as needed- usually once a year. Hi! You can cover an area previously planted with grass with only mulch but be aware that grass will probably grow back unless killed effectively. I wouldn’t mulch a overly-large area because it isn’t very good looking. Decorative materials will cost a lot of money to cover large areas as well. I like to create new garden beds with informal foot paths where lawn was previously. My husband wants to cover our lawn with mulch instead of planting grass. Has anyone ever seen a lawn of mulch before? Was it decorative? What are the pros and cons of doing this? Just curious did you ever find out where you can purchase the Melaleuca mulch? Have you seen the mulch that is black I think maybe hemlock? or is the for Socrates only? I am tired of pine bark as a top dressing in mulched areas as it just floats away in heavy rains and my wife does not like cypress mulch. Where can I purchase the MELALEUCA muclch? Great questions Marie. Let’s just say that these materials have been part of my pallet for years and I have had no negative effects in these areas. I always use a weed fabric underneath so I guess the net effect to the soil is mitigated with this barrier. No scorching. Shirley, I love the look of your unorthodox mulches, but do glass and ceramic mulches make the soil any warmer and is there any problem with reflection when using them in a sunny spot? Thanks for commenting and for the link to the Mulch and Soil Council. I will take a look at it now. Hope all is well and I’m looking forward to watching your second “Growing a Greener World” show this weekend! Looks like you got a great response! Good job Shirley. And I remember seeing your Garden Police episode with all that broken glass mulch. Very pretty. BTW, speaking of mulch, your readers should know about the Mulch & Soil Council. They advocate the use of “certified mulch” which is mulch free of hazardous chemicals such as arsenic and other unacceptable materials from pressure treated wood. Readers can learn more at http://www.mulchandsoilcouncil.org. Thanks Shirley for your tireless efforts to put out the good word. My favorite mulch is definitely the recycled glass! I think it is so beautiful! And it does not get enough attention. What a great use of color in your yard. — LOVE IT. This was a great post! I didn’t know about many of those mulches, and I can really use the info. Thanks also for visiting my blog and leaving your nice comments! I know you’re busy and really appreciate your taking the time. I am crazy about the mulch of mosaic and the seashells. I have made a path from oyster shells( we like oysters) and so after eating I place the shells on the path and stomp away. Now, for me there has to be the romance of it all, I so imagine this path like the oyster shell paths you see in early colonial gardens. VERY good advice about the cocoa hull mulch!!!! I have thought about mulches of colored glass, which You have.There was a designer who had big piles of colored glass in mounds which was an allusion to vietnamese landscapes. What great information all in one place. Loved the photos of the blue mulch, which I wouldn’t have thought I’d like but do. And as a displaced Southerner, I can’t wait for the peach pit mulch — you can sign me up for it right now! 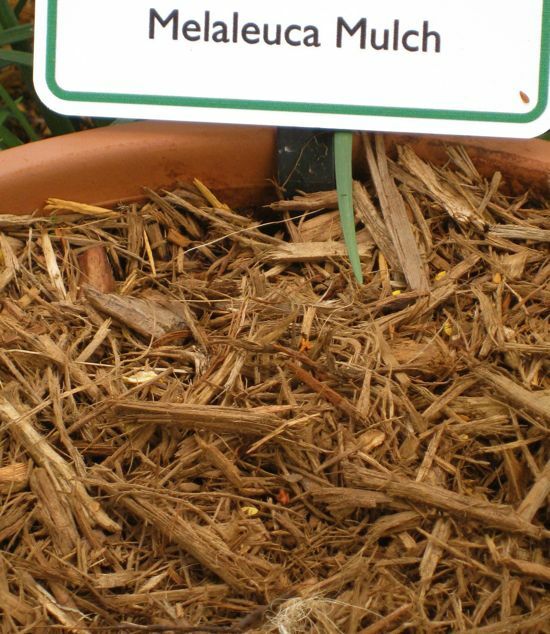 Hi Lydia- The Pits In Pieces mulch (recycled peach pit mulch) will be available soon. I will be helping them get the product out so stay in touch for updates! Thanks for visiting and commenting. Hi Frances- Thanks for the information on the pine tree mulch. Looks like the paper mill is on the right track repurposing materials for extended use! Dear Anna, It feels very strange not reading your entertaining and thoughtful blog posts. You need to be a guest blogger on Eden Makers. Hope you are well. Thanks for the visit! Great and informative post, Shirley! I like playing with mulches myself. I often use rocks of some form or another, owing the the windy climates I have designed in. Truth is, there are as many ‘mulches’ as there are people with ideas. Adding color – or even taking color away! – serve abundant purposes for featuring aspects of a landscape. Oddly, I also love dealing with just dirt – lol, go figure. Since I’m blogless right now, I came over to visit your mulch and get a better understanding. Somethings are worth reading twice. ;) I like to read comments too. Hi Shirley, you covered this subject well and with good illustrative photos, thanks. 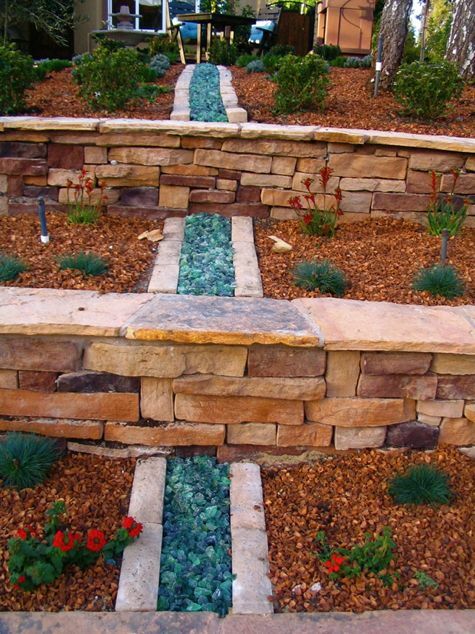 I have always been attracted to the tumbled glass mulch to be used to replicate water like in the photo of successive troughs. There is a paper mill near us that strips the bark off of the millions of pine trees it raises on farms and uses to make the paper and it is available locally ground up for mulch. Double ground it is called soil conditioner and while lightweight, it helps break up our dense red clay quickly while helping somewhat with the weed suppression. I don’t usually read a whole post like this but you kept my attention and I learned a lot. I have a problem with being able to afford as much as I need. I usually go with pine straw because of the cost. It is cheap here. We are called The Land of The Long Leaf Pine. There is a pallet works manufacturer not far from where I live. I think I’ll give them a call and see if they have some shredded wood I can have. I’ll have to let it sit for a year. Hi Nancy. I like sharing some of the less conventional mulch ideas. I didn’t even skim the top! Thanks for your comment. A very interesting and informative post, Shirley. I like the tidy look of mulch, along with the other benefits. Of all you’ve posted here, I believe I like the broken mosaic as well as anything, though I suppose it would only work in the right garden. We’ve always used bark mulch in the past and it seems to do the trick.